We have just returned home after a week in Cadaques. 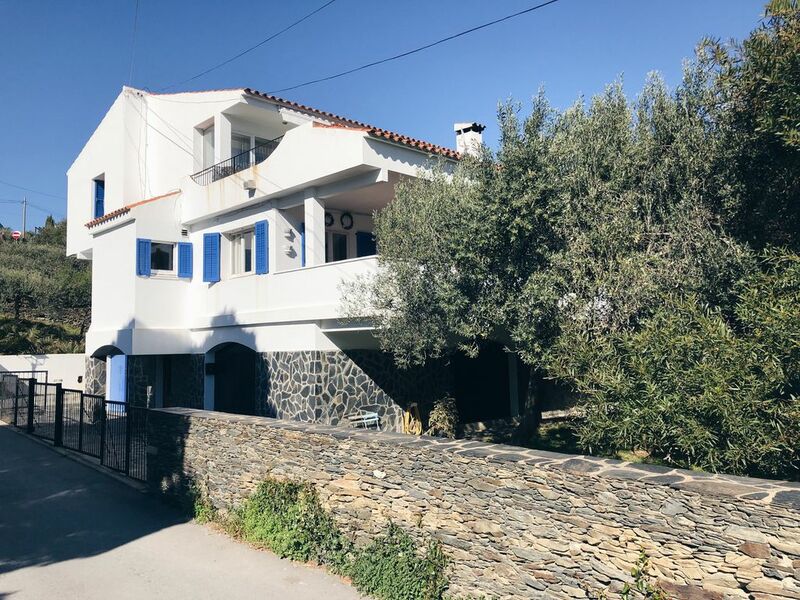 The property ticks all the boxes from the location (walking distance to the center of Cadaques, and Port Lligat), to comfort and cleanlinness. The house matches perfectly the local atmosphere! Beautiful villa which was a home away from home. Not like a bland rental - it is obviously a well-loved family holiday home with many personal touches. Lots of kitchen utensils/equipment and everything to make your stay comfortable. Some areas could benefit from a refresh and the jacuzzi may need maintenance as it didn't heat up very well. We were there with 8 people in October. The house corresponds exactly to the description on the Internet. The house is located directly in the village (on a small hill). The rooms are very nice decorated and the kitchen is well equipped. Bed linen and towels were clean and fragrant. Minor repairs (fittings) will be completed soon. The local support was very friendly and accommodating. I recommend this house. "habitation très sympa - pu style espagnol 1970 - super bien placée - à 5 minutes du centre, de la maison de Dali et de superbes balades. de belles vacances à 8 adultes avec des enfants sans se marcher dessus. Une vue dominante sur la plage de poa. Et en plus les proprios très gentils et serviables"
"La casa è molto confortevole, vicina al mare e ai servizi. Il proprietario è persona squisita e gentile e ci è sempre stato di grande aiuto per ogni informazione sia turistica che organizzativa che gli abbiamo chiesto."